Happy Friday, folks! I’m actually enjoying a day off from work today but when I am at work, I usually crave some type of candy or sweet treat during the day. Unfortunately, snacking on sweets usually isn’t a good thing to do…until now. But I’ll get to that in a minute. Do you have a favorite candy that brings you back to your childhood? I sure do. Werther’s Orginal. My dad used to buy a pack of those creamy, butterscotch hard candies and share a piece with my brother and I. I loved those candies. When I was finally old enough to go to the store on my own, I would often purchase an individual pack of Werther’s Originals. I had them all to myself. And they usually didn’t last very long. But those were the days when eating candy didn’t matter. When you’re young, you can eat a few pieces of candy and get away with it. But once you get into your late 20’s and early 30’s, forget about it. You have to start watching what you eat. Limit your sugar intake. Count calories. Say goodbye to the daily dose sweets. But wait…I did mention that snacking on sweets wasn’t a good thing to do until now, didn’t I? One of the best things to ever happen to candy has happened: Werther’s Original is now available in sugar-free options. Options? Why yes. 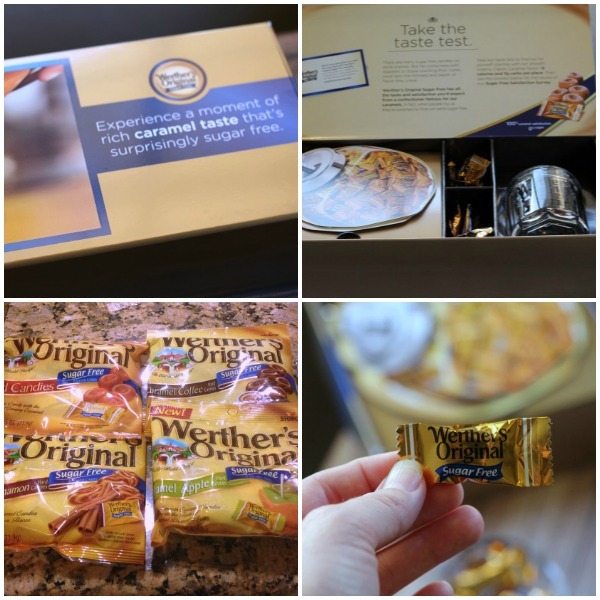 Not only can you get the classic Werther’s Original in a sugar-free version, you can also enjoy a Caramel Coffee, Caramel Cinnamon and Caramel Apple flavors as well! Now I can satisfy my candy cravings at work with a fabulous Werther’s Original without overloading on sugar. And at only 8 calories per candy, enjoying 3 or 4 of these per day won’t even add too much to my calorie intake for the day. I can burn the calories consumed by walking around the office one time! So which of these fabulous flavors is my favorite? I’d have to say the Caramel Coffee. And of course, I love the classic flavor (yes, these sugar-free gems taste exactly like the original Werther’s.) The cinnamon flavor was ok but it wasn’t something I could eat for very long. And I wasn’t a fan of the Caramel Apple at all. However, my boyfriend did enjoy the Caramel Apple. In fact, I took the bag of Caramel Apple to work and he ended up looking for it and asking me where it was. So I had to bring some of them back home for him. 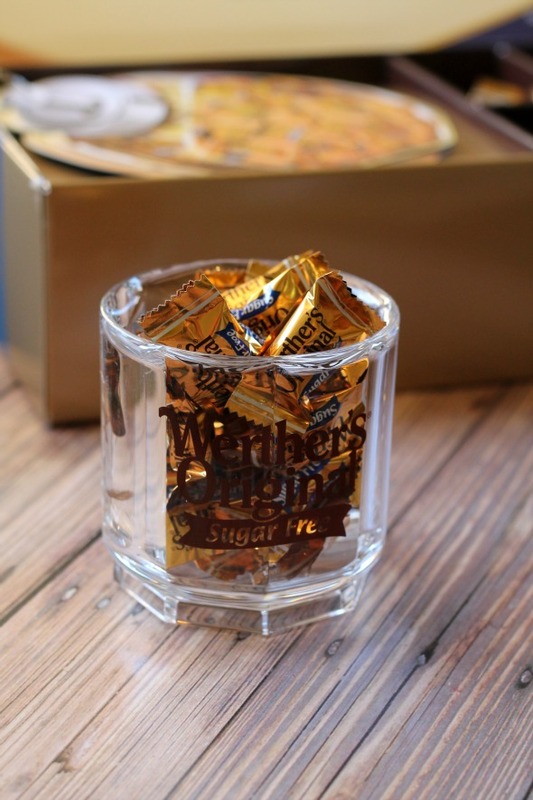 So if you’re looking for a fabulous, healthier candy that will bring you back to your childhood, pick up some of these Sugar Free Werther’s Orginals. You won’t be disappointed and neither will your waistline. I grew up eating those candies too!! I totally need to try the sugar free flavors! I love Wether’s! They take me back to my childhood too. The sugar free tastes great too!